The Honourable John Spence Winneke, AC, RFD, QC (born 19 March 1938) is a former judge of the Supreme Court of Victoria and President of the Court of Appeal of the Supreme Court of Victoria, which is the highest ranking court in the Australian State of Victoria. The prefix The Honourable or The Honorable is an honorific style that is used before the names of certain classes of people. The Reserve Force Decoration is an Australian Military award given for long service by officers of the Reserve Forces. It is part of the suite of defence force service awards introduced in 1982, which also included the Defence Force Service Medal and the Reserve Force Medal. However, the RFD is the only one of the three to carry a postnominal entitlement. A Queen's Counsel, or King's Counsel during the reign of a king, is an eminent lawyer who is appointed by the monarch to be one of "Her Majesty's Counsel learned in the law." The term is recognised as an honorific. The position exists in some Commonwealth jurisdictions around the world, but other Commonwealth countries have either abolished the position, or re-named it to eliminate monarchical connotations, such as "Senior Counsel" or "Senior Advocate". Queen's Counsel is an office, conferred by the Crown, that is recognised by courts. Members have the privilege of sitting within the bar of court. John Spence Winneke was born to Sir Henry Winneke who was Solicitor-General for the State of Victoria, Chief Justice of Victoria, and Governor of Victoria. John Winneke's grandfather, Henry Winneke, was a judge of the County Court of Victoria. Sir Henry Arthur Winneke was a Chief Justice of Victoria and the 21st Governor of Victoria from 1974 to 1982. The Solicitor-General of Victoria, Australia is the state's Second Law Officer, behind the Attorney-General. The holders of this office are appointed by Cabinet on the basis of their legal expertise. Solicitors-General are members of the Executive. Formerly, they were elected members of parliament, but have not been so since the early/mid twentieth century. The Chief Justice of Victoria is the senior judge of the Supreme Court of Victoria and the highest ranking judicial officer in the Australian state of Victoria. The Chief Justice is both the judicial head of the Supreme Court as well as the administrative head. They are responsible for arranging the business of the court and establishing its rules and procedures. Winneke was educated at Scotch College and the University of Melbourne,  where he was a Member of the Melbourne University Law Review . When he completed his legal studies, he completed his articles with Josh Shaw of the law offices of Middleton McEarchern Shaw and Birch. He was admitted to practice as a solicitor on 1 March 1962. He was called to the Victorian Bar in 1962. He was appointed a Queen's Counsel in 1976. The Melbourne University Law Review is a triannual law journal published by a student group at Melbourne Law School covering all areas of law. It is one of two student-run law journals at the University of Melbourne, the other being the Melbourne Journal of International Law. Students who have completed at least one semester of law are eligible to apply for membership of the editorial board. Applicants are assessed on the basis of their performance in a practical exercise, academic aptitude, proofreading skills, editing skills and enthusiasm. The 2018 editors-in-chief are Kye-Ren Cheong, Rajesh Gounder and Rachel Walters. 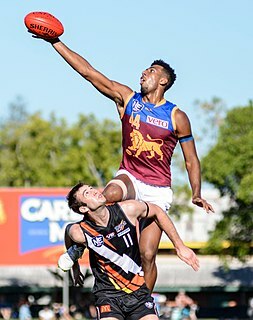 In Australian rules football, a ruckman or ruckwoman is typically a tall and athletic player who contests at centre bounces and stoppages. The ruckman is one of the most important players on the field. They are often key to coaching strategy and winning centre clearances which result in the most goal kicking opportunities. The Hawthorn Football Club, nicknamed the Hawks, is a professional Australian rules football club in the Australian Football League (AFL). The club, founded in 1902, is the youngest of the Victorian-based teams in the AFL and has won thirteen VFL/AFL premierships. It is renowned as the only club having won premierships in each decade of the 1960s, 1970s, 1980s, 1990s, 2000s and 2010s. The team play in brown and gold vertically striped guernseys. The club's Latin motto is spectemur agendo, the English translation being "Let us be judged by our acts". Winneke was commissioned as a commander in the Royal Australian Navy. He was also appointed a Defence Force Magistrate and held an appointment as a Reviewing Officer under the Defence Force Discipline Act. In 1970, Winneke was counsel assisting William Kaye in the "abortion graft inquiry", which inquired into allegations of corruption involving members of the Victorian Homicide Squad. William Kaye was the fourteenth Mayor of Louisville, Kentucky from April 4, 1863 to April 1, 1865. He was born in Yorkshire, England to a clothing manufacturer, trained as a machinist, and came to Louisville in 1836. In 1841 he founded Kaye & Co., which was well known for its brass and bell works, including the bell in the Cathedral of the Assumption. In 1981, he was appointed as a Royal Commissioner by the Commonwealth of Australia and the State of Victoria to inquire into the affairs of the Builders Labourers Federation. He appeared as senior counsel for Michael and Lindy Chamberlain before Justice Morling in the Royal Commission into their convictions for the murder of their infant daughter, Azaria Chamberlain. He appeared as counsel in the Royal Commission into the Westgate Bridge collapse, in the Derwent River Bridge Inquiry, and in the Housing Commission of Victoria Inquiry. Winneke was appointed on 7 June 1995 as a judge of the Supreme Court of Victoria and as the first President of the Court of Appeal of the Supreme Court of Victoria when the Court of Appeal was established that year. He was appointed as the acting Chief Justice for a brief period in 2003. He retired from the bench on 15 July 2005. Winneke was awarded an Officer of the Order of Australia (AO) in 1999,  and in 2004 was upgraded to the Companion of the Order of Australia (AC). Both were awarded for his significant contributions to the judiciary in Victoria. Kenneth Madison Hayne is a former Justice of the High Court of Australia, the highest court in the Australian court hierarchy. Sir Daryl Michael Dawson, is a former Australian judge who served as a Justice of the High Court of Australia from 1982 to 1997. Before being appointed to the High Court, he served for periods as a legal officer in the Royal Australian Navy and as Solicitor-General of Victoria. Marilyn Louise Warren is a former Chief Justice of the Supreme Court of Victoria and Lieutenant-Governor of Victoria, Australia. Murray Byron Kellam was formerly a judge of the County Court of Victoria in Australia before being appointed as a judge on 28 January 1998 to the Supreme Court of Victoria, the highest ranking court in the Australian State of Victoria. He was also the first President of VCAT. On 16 May 2007 Kellam was appointed a judge of Appeal. He retired from the Supreme Court on 15 June 2009. Kellam also served as a member of the Supreme Court of Samoa. He was appointed an Acting Judge of the Supreme Court of the ACT on 8 March 2017. Sir Kevin Victor Anderson was an Australian lawyer and judge who served on the Supreme Court of Victoria from 1969 to 1984. The Honourable Christopher David Steytler AO QC is a former judge of the Supreme Court of Western Australia and President of the Court of Appeal. He was a member of the Supreme Court from 1994 to 2009 and was the Parliamentary Inspector of the Corruption and Crime Commission from 2009 to 2012. John David Phillips QC is an Australian lawyer and judge who served on the Supreme Court of Victoria from 1990 to 2004. Emilios Kyrou is a judge of the Court of Appeal, Supreme Court of Victoria, in the Australian state of Victoria. Justice Kyrou was previously a justice in the Trial Division. Peter David McClellan,, was a judge of the New South Wales Court of Appeal, the highest court in the State of New South Wales, Australia, which forms part of the Australian court hierarchy. He was appointed to the position in February 2013 and retired in February 2018. McClellan was the Chief Royal Commissioner of the Royal Commission into Institutional Responses to Child Sexual Abuse from January 2013 to December 2017. He was previously the Chief Judge in Common Law in the Supreme Court, a position to which he was appointed in 2005. John Harber Phillips, AC, QC was an Australian lawyer and judge who served as Chief Justice of Victoria from 1991 to 2003. He was first appointed to the Victorian Supreme Court in 1984, having previously been the state's director of public prosecutions as well as a director of the National Crime Authority. Bernard Teague, AO, was a Judge of the Supreme Court of Victoria, in Australia, between 13 October 1987 and 15 February 2008. Mark Samuel Weinberg was a judge of the Court of Appeal of the Supreme Court of Victoria from July 2008 to May 2018. He is a former Judge of the Federal Court of Australia who served from July 1998 to July 2008. Geoffrey Arthur Akeroyd Nettle is a Justice of the High Court of Australia, the highest court in the Australian court hierarchy. He was appointed to the High Court in February 2015. Prior to his appointment to the High Court, he served as a judge at the Court of Appeal, Supreme Court of Victoria, where he presided from June 2004 to 2015. Major General Gregory Howard "Greg" Garde, is a senior Australian lawyer and Army officer. His positions and appointments have included Queen's Counsel, Supreme Court Justice, President of the Victorian Civil and Administrative Tribunal, and membership of various boards of directors. The Honourable Robert Brooking was a judge of the Court of Appeal of Victoria from 1995, having been appointed a judge of the Supreme Court of Victoria in 1977. He was also an acting judge of the Supreme Court of the Northern Territory for 6 months in 2000-2001. Geoffrey Michael Eames is an Australian jurist, who was a judge of the Supreme Court of Victoria. He served on the Trials court from 1992 to 2002, and then on the Court of Appeal until 2007. He subsequently served as an Acting Judge of the Supreme Court of the Northern Territory, and as Chief Justice of Nauru. James Joseph Casey was a politician in colonial Victoria (Australia), a member of the Victorian Legislative Assembly almost continuously from 1861 to 1880, County Court Judge and Land Tax Commissioner, Victoria. ↑ Victorian Bar Farewells Archived 27 September 2007 at the Wayback Machine .